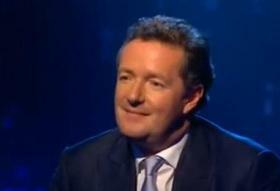 Did NBCU’s Television Entertainment Chairman Jeff Gaspin just confirm Piers Morgan will be joining CNN? That’s what The Wrap’s Hunter Walker is reporting after Gaspin’s comments today at NBC’s TCA press tour. Simon Cowell has let slip he was involved in orchestrating Morgan’s move to CNN, while NBCU CEO Jeff Zucker said Morgan had approached the company about “another job.” CNN has remained silent – but they haven’t exactly been shooting down month-old rumors either. This week on NBC’s Tonight Show, Morgan told Jay Leno he “can’t possibly comment” about the CNN 9pmET job. We’ve reached out to CNN for comment. Also, it’s important to note that saying NBC can share Morgan with CNN is very different than saying they will share him with CNN.